This is what the challenge is all about…..
or project using inspiration from a tic-tac-toe board. For example: x’s and o’s, hugs & kisses, squares, circles, grids, you get the idea. so there is still time to play along! some of the best I have found! I have the challenge and the store all linked up for you! Here are some of my card details! 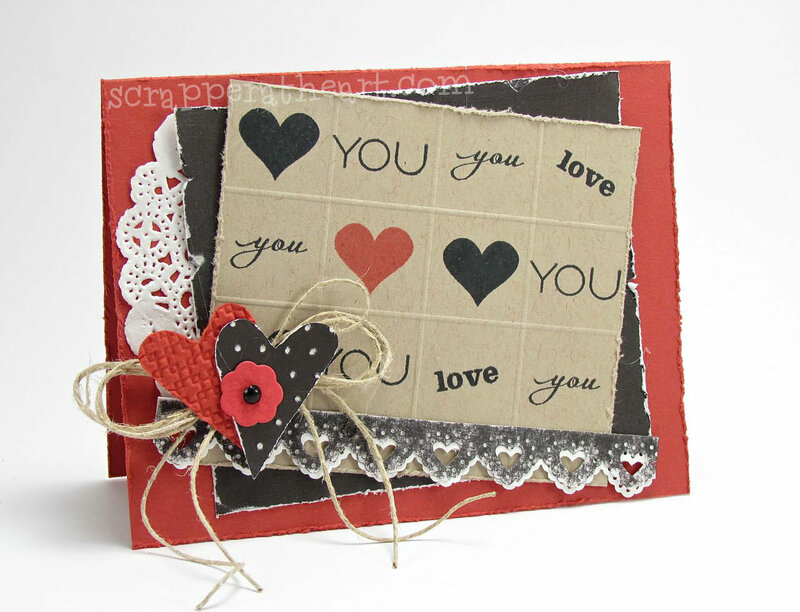 Categories: Cards, challenges | Tags: anniversary, Card making, Cards, love, stamping, Verve Stamps | Permalink. fabulous card!!! i love the tilted panel and stacked hearts…the twine bow is perfect. Beautiful card, Nancy! Love your take on the challenge! LOVE this card Nancy! The colors and the hearts and the love everywhere – now you are al set for Valentines Day! Great take on the diva dare. Your card is lovely. I love red, black and kraft together and your tic tac toe board with the hearts is adorable. This is stunning! I love the layers and the tilted panels and the wonderful embossing! Congrats on winning the Diva Dare. Love your card.